Richmond, B.C – May 5, 2016 – Scandlines has christened their newest hybrid ferry, the M/V Berlin. 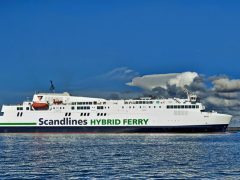 As part of Scandlines’ ambitious environmental strategy, the new hybrid ferry will join the world’s largest fleet of hybrid ferries, utilizing a low emission and fuel saving diesel electric hybrid propulsion system powered by a Corvus Energy ESS (Energy Storage System). 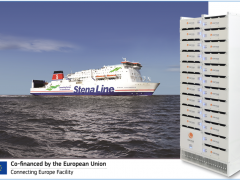 The M/V Berlin is the fifth Scandlines hybrid ferry to utilize a Corvus ESS. This new hybrid ferry will service the crossing between Rostock, Germany and Gedser, Denmark. The M/V Berlin is 169.5m long and 25.4m wide, providing double the capacity for vehicles (460 cars or 96 transport trucks), and the modern, spacious onboard facilities have enough space for 1,300 passengers. The main engines provide an output of 15,800kW, of which 6,000kW can come from the Corvus ESS. This results in a speed of 20.5 knots on the 2-hour long crossing. 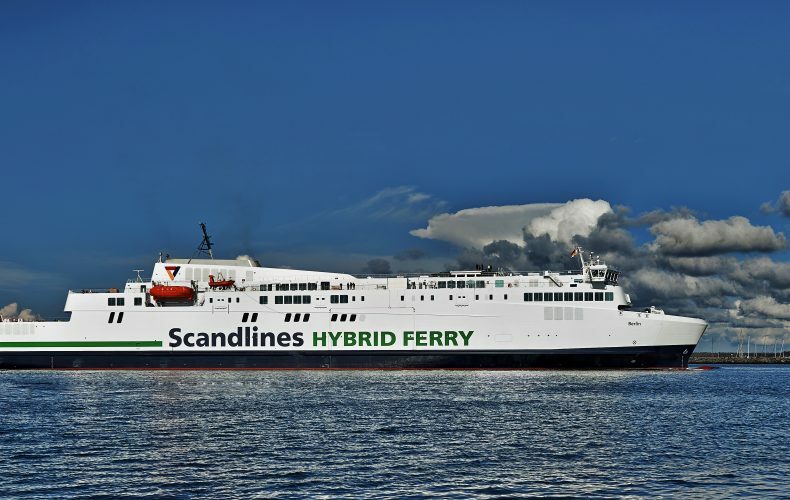 Scandlines has gone to great lengths to ensure the M/V Berlin is environmentally friendly by utilizing technologies that increase fuel savings, significantly reduce emissions and greatly improve on-board energy efficiency. It uses an optimized propulsion system consisting of propellers and two thrusters, which can be rotated through 360 degrees and are used in narrow waterways or during maneuvers in port. Energy-saving solutions are utilized wherever possible to reduce the amount of energy required to run the vessel, including LED lighting throughout and variable-frequency control. 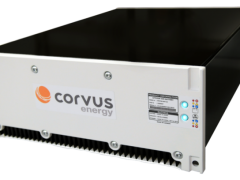 When consumption is lower, excess energy is stored in the Corvus ESS. This energy is then released when consumption is higher than generator production. On the emissions front, the M/V Berlin has four scrubbers which remove harmful substances from the exhaust gases such as SOx and fine particles. Beyond the hybrid propulsion system, the vessel has also been designed for efficiency, with a hull that is optimized for the sea depths between Rostock and Gedser using advanced CFD (computational fluid dynamics) calculations.